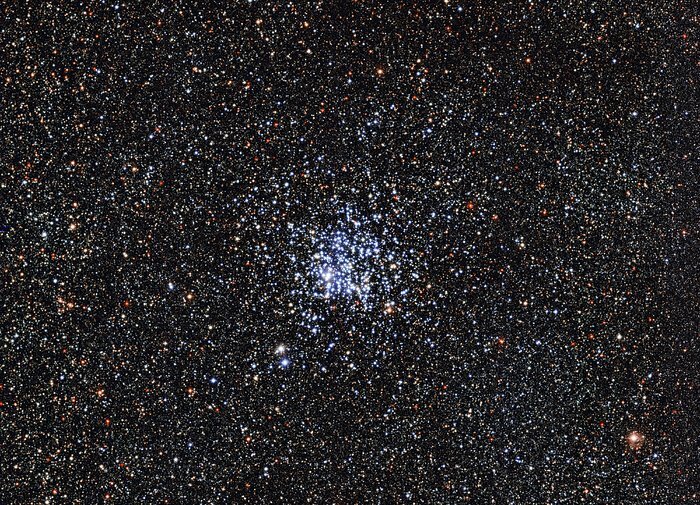 The way they move belies the true ages of the almost 3,000 stars populating one of the richest star clusters known. Astronomers recently discovered the stars all were born in the same generation, solving a long-standing puzzle about how stars evolve. Do star clusters harbor many generations of stars or just one? Scientists have long searched for an answer and, thanks to the University of Arizona’s MMT telescope, found one in the Wild Duck Cluster, where stars spin at different speeds, disguising their common age. I missed this the first time it was posted. Very interesting! But I think there is a mistake in the article. Rotational speed is like a fountain of youth to a star: The faster it spins, the better it mixes hydrogen – the star’s fuel – into its core. The more hydrogen the core receives, the longer the star lives, causing it to appear redder than younger siblings. No, it's the other way round. The better a star mixes hydrogen into its core, the longer it can stay on the main sequence, and the bluer it looks.